Many Flame initiatives are started by the young adults who have seen a need & decided to step in to address it. We believe those who have been through that situation, having experienced & lived it are the best people to bring solutions. Our social work team go out into the slums to visit children who need to go to school, often these children go out collecting rubbish to sell to support their families. We assess the needs of the family based on our criteria and we sponsor the children to go to school. Our case workers develop a relationship with the family and we do whatever it takes to assist the family to grow and the children to thrive at school. Once the children finish secondary school we offer places at our Leadership Academy Homes which help them study, grow in confidence and give back to their communities. 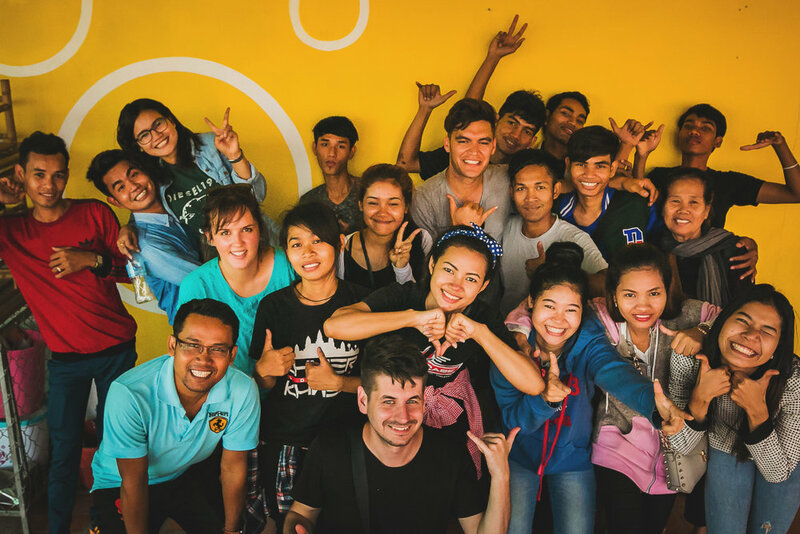 Once their studies are completed the young adults leave the homes equiped to become some of Cambodia's future leaders in the areas of health, medicine, social welfare, the arts, law, marketing and many more. Our Academy Students give back to the community through starting and manning projects like Mobile Medical, which provides free health care in the slums; providing water filters, for free drinking water in the slums and the Student Centre where they teach what they have learned to younger students. We also have a Book Tuktuk that provides a mobile library into the slums where there are usually no books at all. We do whatever it takes.